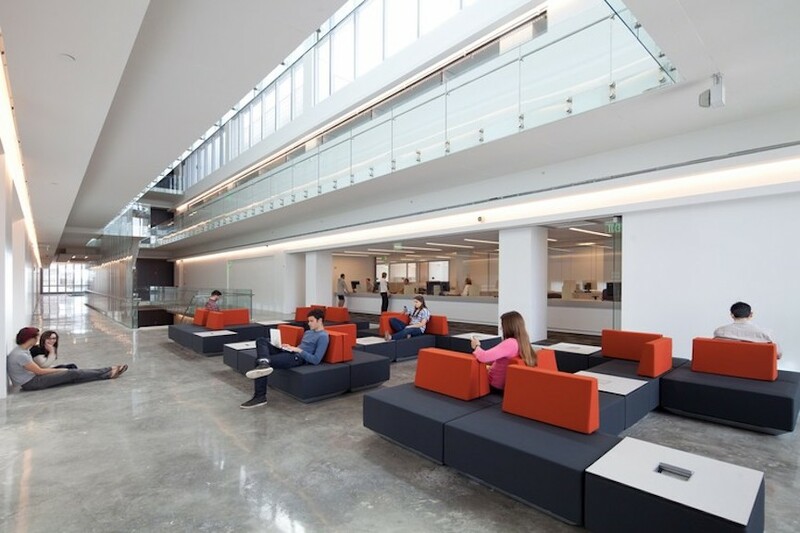 Miami Dade College (MDC) is one of the most frequently searched colleges in America, according to a recent internet keyword search of United States colleges and universities. 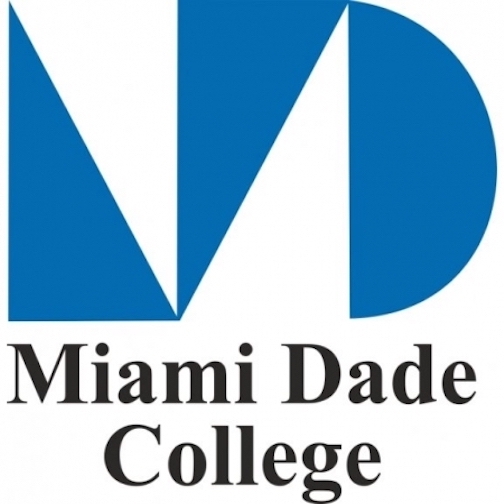 MDC is a public, 4-year state college located in Miami, Florida. The school was established in 1959, and currently maintains an enrollment of more than 165,000 undergraduate students across 8 Florida campuses, in both credit and non credit courses. Notable MDC alumni include former Mayor of Miami Manny Diaz, as well as Major League Baseball players Mike Piazza and Raul Ibanez, among others. MDC is accredited by the Commission on Colleges of the Southern Association of Colleges and Schools. Here are the answers to some of the most frequently asked questions about MDC. 1. Where is Miami Dade College? 2. What types of degrees are offered at Miami Dade College? MDC awards Associate of Arts degrees, Associate of Science degrees, college credit certificates, and Bachelors degrees, although the school's primary focus is on awarding Associate degrees. 3. What courses and programs are offered at Miami Dade College? 4. Who should attend Miami Dade College? MDC is an excellent choice for Florida residents of any age who want to save money on their college educations, especially those who live in the greater Miami area. MDC also features numerous skilled trade certificate programs for people who want to join the workforce immediately after graduation. 5. Why attend Miami Dade College? MDC has an open admissions policy. MDC is cheaper than local universities. MDC has a great number of academic and professional programs to choose from. MDC allows easy transfer to four year universities such as Florida Atlantic University, Florida International University, and FSU, among others. MDC offers a dual enrollment program for high school students. MDC is ideally situated in the pretty city of Miami. 6. How much does it cost to enroll at Miami Dade College? $118.22 per credit for Florida residents, or $1,418.64 per 12-credit semester. $402.51 per credit for out of state students, or $4,830.12 per 12-credit semester. $129.89 per credit for Florida residents, or $1,558.68 per 12-credit semester. $535.97 per credit for out of state students, or $6,431.64 per 12-credit semester. $91.08 per credit for Florida residents, or $1,092.96 per 12-credit semester. $355.31 per credit for out of state students, or $4,263.72 per 12-credit semester. Additional fees may also apply. These may include application fees, registration fees, processing fees, technology fees, online course fees, and others. Financial aid may be available in the form of scholarships, grants, loans, and/or work study programs, to help students pay for their educations at MDC. 7. How long does it take to earn a degree from Miami Dade College? For a full time student at MDC, it should take about two years to earn an Associate's degree, and about four years to earn a Bachelor's degree. Career and technical programs can take anywhere from 3 months to a year to complete. 8. 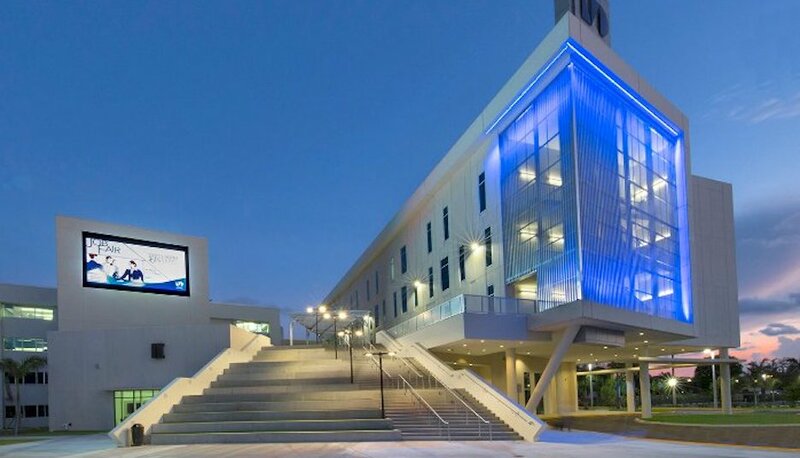 What are the Miami Dade College campuses like? The main (Wolfson) campus of MDC occupies 15 urban acres in the heart of downtown Miami, a short walk to all the necessary conveniences. Local attractions within walking distance include the Miami Center for Architecture and Design, the New World School of the Arts, the Freedom Tower, and the Bayside Marketplace, among others. Public transportation is also right nearby. The Medical Campus, the InterAmerican campus, and the Carrie P. Meek Entrepreneurial Education Center of MDC are also located in Miami. The Hialeah campus of MDC spans 8 acres in Hialeah, a town situated about 10 miles northwest of Miami. The campus is located just south of the Westland Mall. The West campus of MDC occupies 10 acres in Doral, about 15 miles northwest of Miami. This campus is surrounded by lakes, parks, and golf courses, and is located about 2 miles north of the sprawling Dolphin Mall. The North campus of MDC spans 245 acres of placid lakes and idyllic walking paths, and is located approximately 15 miles north of Miami. This campus is home to the school's Aquatic and Fitness Center. 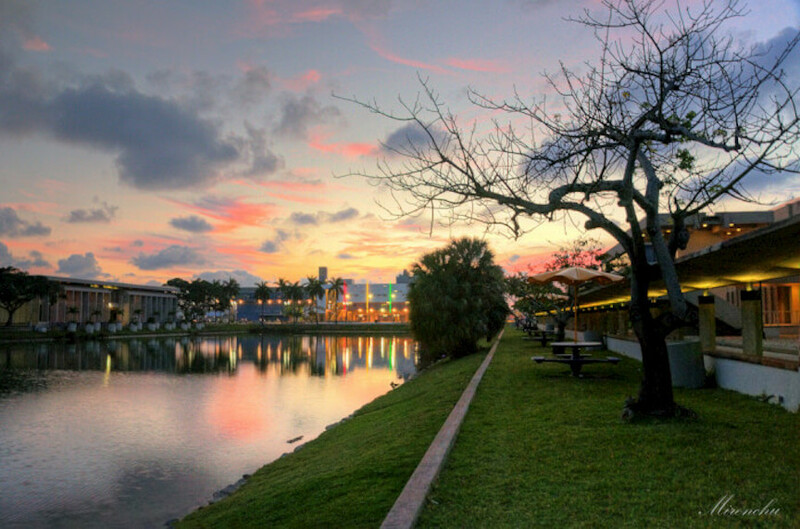 The Kendall campus of MDC boasts 185 acres featuring trees and lakes in the town of Kendall, located about 15 miles southwest of Miami. The Homestead campus of MDC sits on 18 acres in the historic downtown district of Homestead, a city situated roughly 50 miles southwest of Miami. The Homestead campus is surrounded by many fine places to shop and eat. The athletic teams at MDC are called the Sharks. They compete in the Southern Conference of the Florida State College Activities Association, which is part of Region 8 of the National Junior College Athletic Association (NJCAA). The school colors are blue and grey. Intercollegiate sports for men and women at MDC include Baseball, Basketball, Softball, and Volleyball. 9. What are the Miami Dade College campus neighborhoods like? MDC campuses are located in a number of desirable areas, all of them with gorgeous weather. The whole greater Miami area is a warm, sunny place visited by countless tourists, not to mention seniors who are also drawn to the balmy climate. Miami features all the amenities anyone could need, along with beautiful beaches and many cool attractions. What's more, it is easy to get around town without a car. Above: MDC was recently voted one of the most beautiful college campuses in America. 10. 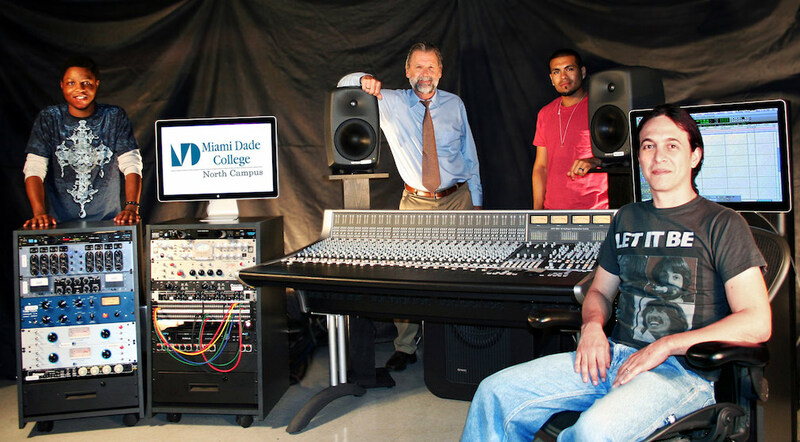 What are the distance learning options at Miami Dade College? 11. What is the contact information for Miami Dade College? For general questions pertaining to MDC, call 305-237-8888, or send an email to mdcinfo@mdc.edu. You can reach the main (Wolfson) campus of MDC by calling 305-237-3131. To contact the the Kendal campus of MDC, call 305-237-2000. To reach the Hialeah campus of MDC, call 305-237-8700. To reach the West campus of MDC, call 305-237-8000. For the North campus of MDC, call 305-237-1000. To reach the Homestead campus of MDC, call 305-237-5555. To reach the Medical campus of MDC, call 305-237-4000. For the Entrepreneurial Education Center, call 305-237-1900.